should the cake look like? Should you have a band or a DJ? If you”re getting married in Florida, one thing is for sure, you have to get married on the beach. Luckily, Ft. Lauderdale is brimming with amazing beach venues that can serve as the backdrop for your perfect day. feel without the destination wedding price tag. Your guests can rest comfortably in a rented townhouse or beachfront home, or you can stay at a charming Inn. Festivities before the big day can include snorkeling, scuba diving, and long walks through town. You can take scenic wedding photos on the beautiful Pier or on the beautiful beach itself. Lauderdale-By-The-Sea is known as “The prettiest little town in America”, so you”ll be sure to make beautiful memories here. Deerfield beach is just north of Ft. Lauderdale and south of Boca Raton. It is best known for its blue waves seen just off the coastline. One of the biggest perks about this location is that you can hold the actual ceremony on the boardwalk, which means no dealing with high heels in sand. The wide boardwalk can easily accommodate your guests and gives you stunning views of the Atlantic. You and your guests can enjoy a ton of different activities before and after the ceremony that include surfing and beach volleyball. This treasure of a place is aptly on Florida”s Gold Coast, just north of Ft. Lauderdale and south of Deerfield Beach. 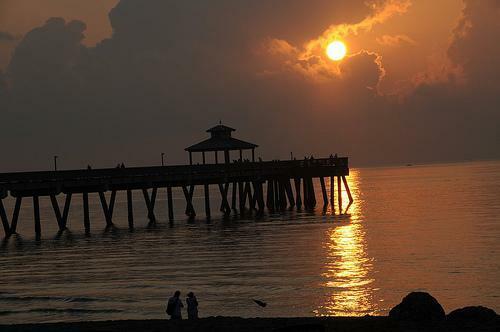 In Pompano, you can expect stunning views, a beautiful pier, and the perfect beachside garden. of your guests and the hotel costs here are a bit lower than other beach venues since it”s a more out-of-the-way. You can take the money you save The most popular Casino s4gambling.com/fi/ specialty table game ever – live online and attracting players old and new. on lodging and head to the Isle casino, or try your hand at water-skiing for something a little more adventurous. Hollywood beach has everything you could want and more. There”s the gorgeous beach, the boardwalk, the historic downtown, and a nature center. In addition, the accommodations range from cozy cottages to high-end resorts. You and your guests will want to arrive days in advance to take part in all the activities available. From Oceanside dining and bicycle tours, to kayaking, golfing, and jet ski rentals. There’s something for the whole family to enjoy. There are also wonderful spas and plenty of romance for the honeymoon. There”s no need to spend a fortune on a tropical getaway because Hollywood Beach has everything you need. Getting married is one of the biggest events in your life. Such a special day deserves an equally special place and there are plenty to choose from in Ft. Lauderdale. Whether you”re looking for something simple and inexpensive or grand and over-the-top, there”s a perfect beach venue waiting for you.